On December 19, Mexican airline Volaris will begin direct flights from Los Angeles International Airport to Acapulco. The new route will be offered once per week to start and is just one of the many new developments in the iconic Mexican Riviera destination, which is the focus of a billion-dollar, multi-year effort designed to enhance the city and attract more visitors. Projects slated between now and 2022 include construction of a new extreme space adventure attraction, numerous hotel renovations, the opening of a new airport terminal and a new medical center. “We are seeing a large number of new investments and projects in Acapulco as part of our continued expansion while our visitor numbers simultaneously grow,” said Ernesto Rodriguez, secretary of tourism for Guerrero State. The city witnessed a massive increase in cruise ship arrivals during 2017. The number of ships pulling into port increased 78 percent, from 18 ships in 2016 to 32 this year. 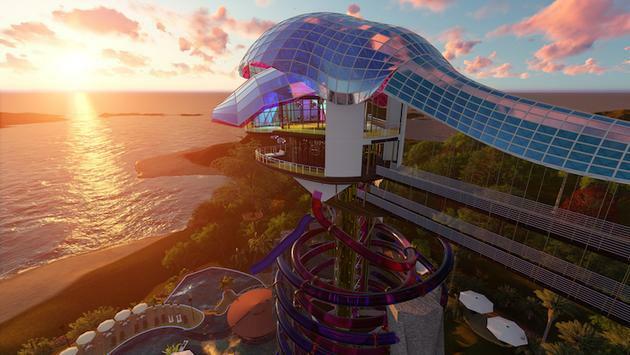 Many of the new projects now taking place are part of a master plan unveiled by Grupo Autofin, the private conglomerate behind Acapulco’s existing XTASEA attraction, which offers the world's largest over-water zip-line. XTASEA’s overwhelming success inspired the upcoming space attraction known as Intense Emotion. The new park will include such things as suspension bridges, rides and a restaurant with panoramic views of Acapulco. There will also be a 130-foot-high climbing wall. “We are all very excited because it’s going to attract a lot of new adventure tourists and families as well,” Piquis Rochin, director of international promotions for the Acapulco Destination Marketing Office told TravelPulse during an interview. Grupo Autofin is also in the midst of renovating some of the city’s most iconic hotels, including the Pierre Mundo Imperial and the Princess Mundo Imperial. The conglomerate will spend a total of $50 million on the two properties, upgrading building facades, restaurants, bars, public areas, pools and infrastructure. Many of the hotel rooms will also be redesigned. Other projects in the massive plan include a new tennis stadium and an eco-amusement park. The details of the park have not yet been released, according to Rochin. Another major element is the new state-of-the-art airport terminal, which is designed to ease passenger flow and increase arrivals capacity. It is slated to be complete in late 2018. As for those new Volaris flights from Los Angeles to Acapulco, they are just the first part of the airline’s efforts to bring more travelers to Acapulco: Rochin said the carrier is also in talks to establish a direct flight from Chicago to the city.